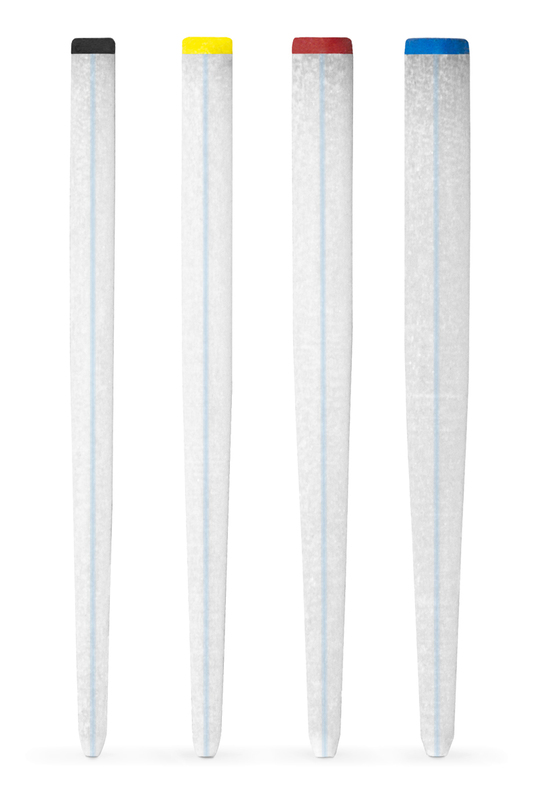 Hi-Rem Prosthetic Post are glass fiber posts with conical-cylindrical shape. 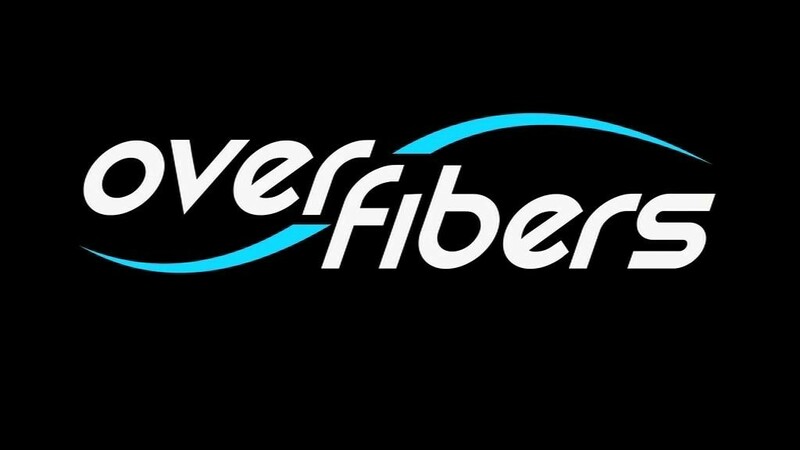 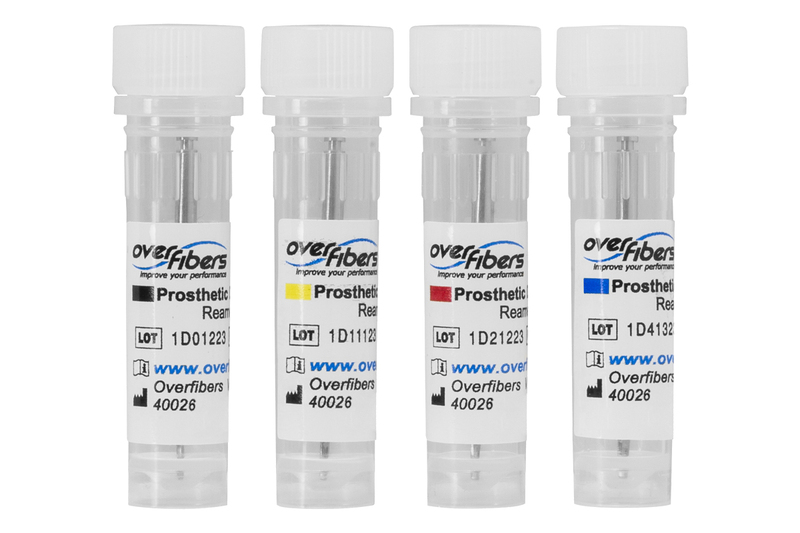 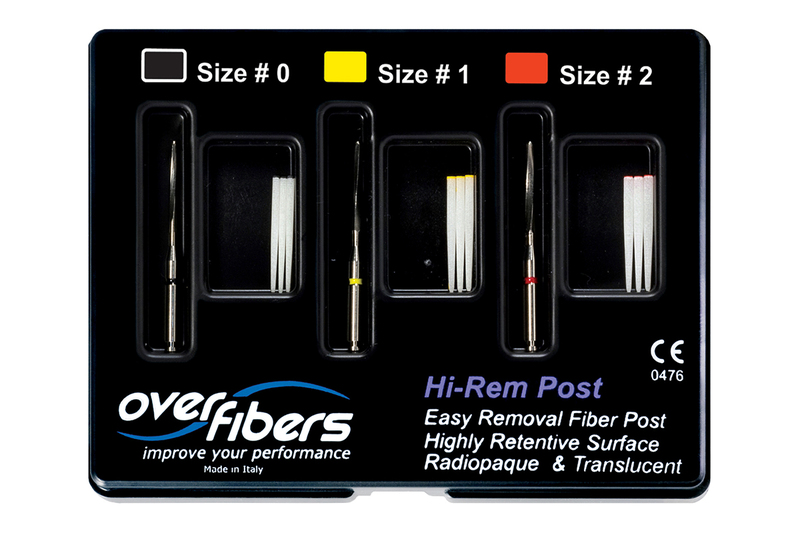 Hi-Rem Post, the Overfibers’ patented fiber post, has the great advantage to be easily removable when it is necessary. 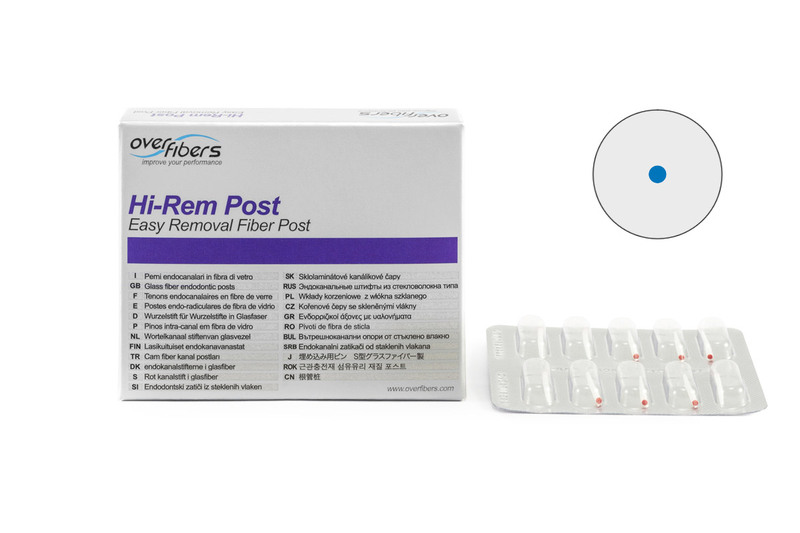 The central longitudinal axis of Hi-Rem Prosthetic Post is made of soft polymer macro-fiber, placing in this position doesn’t affect the resistance of the post, because the stresses are minimal (neutral axis). 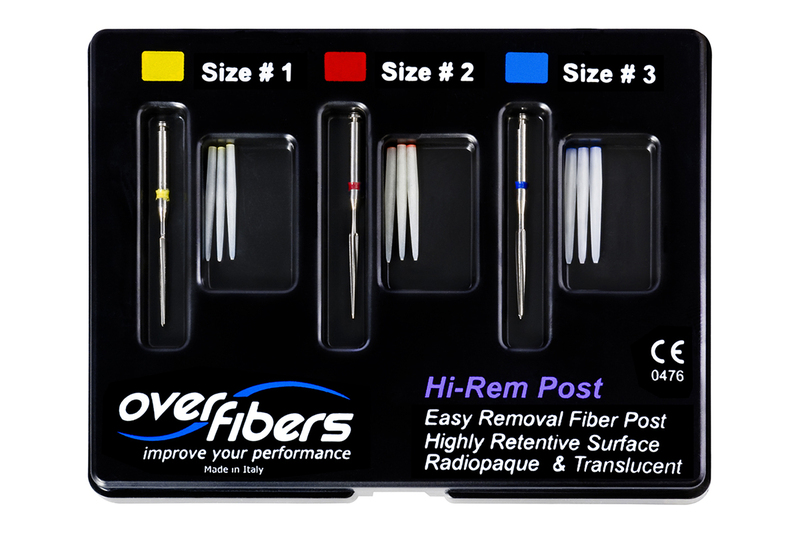 Hi-Rem Prosthetic Post are specific for teeth with missing or massively destroyed crowns as they present the maximum emergency diameter at the level where they come out of the root, according to the most recent studies regarding the root canal shapes of the teeth treated endodontically. 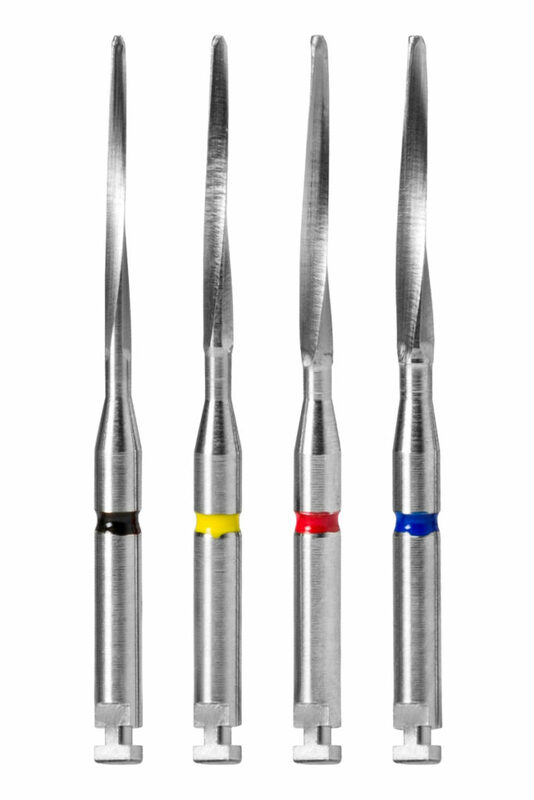 Their special quality is having a large emergency coronal diameter compared to the relatively small apical diameter: this design stabilizes the prosthetic core much more effectively, making the restoration more resistant to the displacing forces of mastication. Hi-Rem Prosthetic Posts and Prosthetic Drills are available in four sizes, with color coding for a corresponding use.